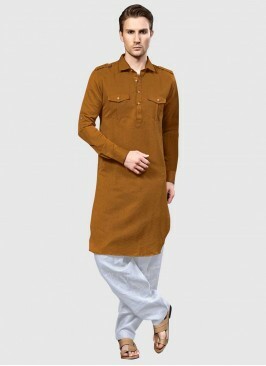 Get the dashing look with this plain long sleeve Pathani Suit. 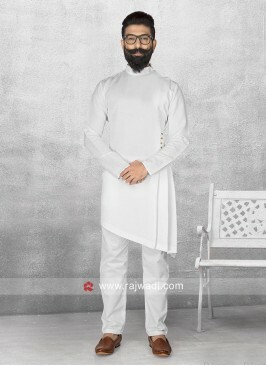 Made from Cotton silk fabric in Cream color. 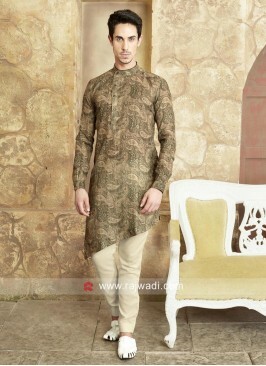 Fancy buttons are used to complete the look. 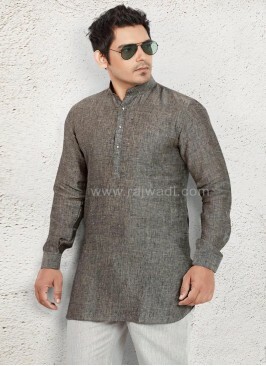 Paired with contrast Cream Cotton Silk bottom. 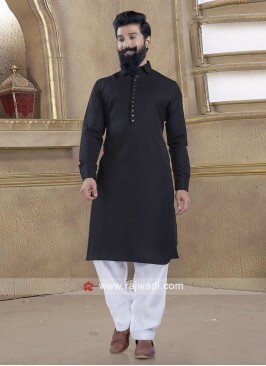 Accessories such as buttons, broaches, pocket square, etc.. used in the products may vary according to availability. 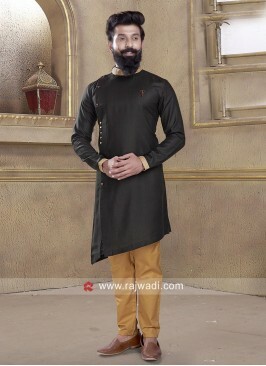 Round Neck Pathani For Ei..
Pathani Suit in Black Col.. 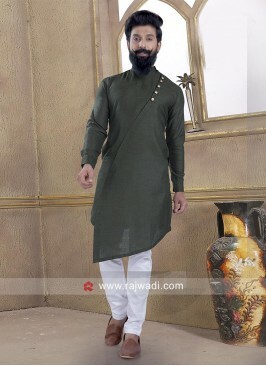 Round Neck Pathani For Me.. 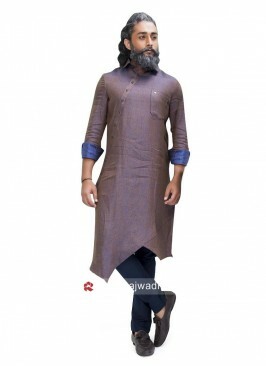 Beige Color Long Sleeve P..
Mens Cotton Silk Pathani .. 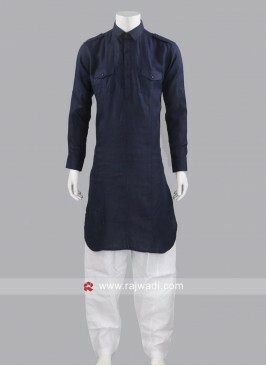 Round Neck Pathani Set Fo.. 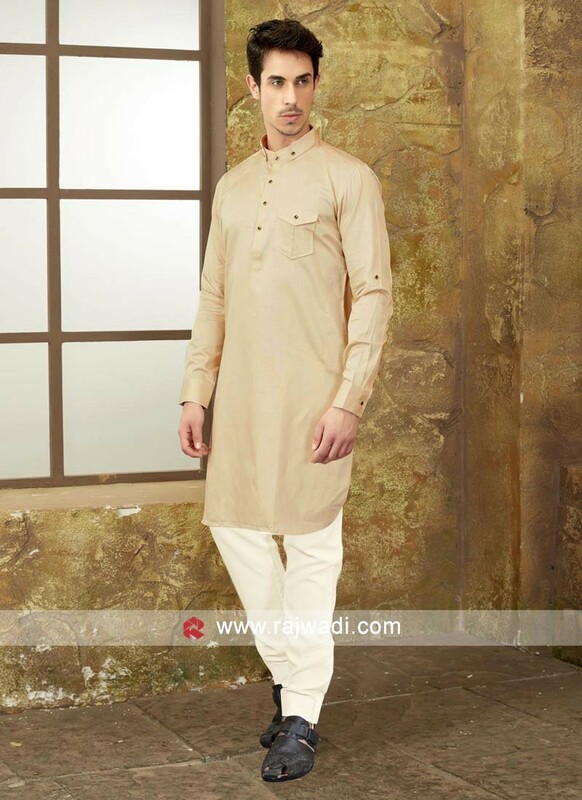 Cream Pathani Suit with F.. 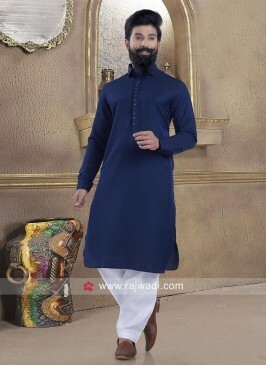 Dark Navy Blue Pathani Su..